This article provides information on how to configure your session timeout. Your Office@Hand Online Account can now be set up with a custom session timeout, follow the steps below to customize your online account’s session timeout. Log in to your AT&T Office@Hand Online Account. Click Tools > Session Timeout. 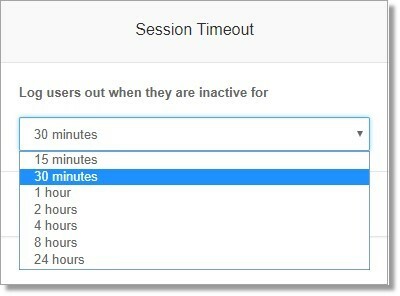 Set the session timeout of your online account, click Save to apply your custom session timeout. Note: The default Session Timeout is 15 minutes and it can’t be disabled. However, you can change to logout the system if there are no activities for 24 hours. Also, the change will apply to the entire account (all users and groups on the account).